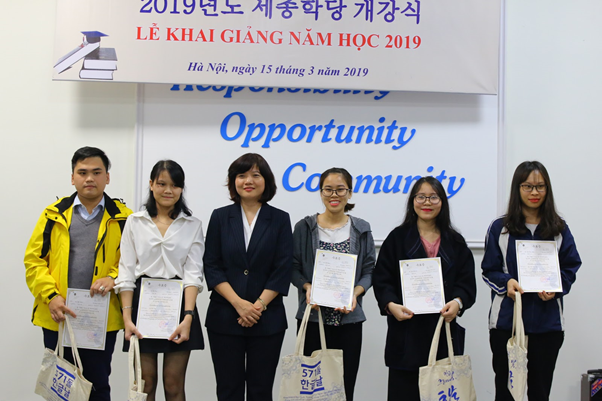 On March 15th, 2019, Sejong Hanoi Center 2 – ULIS – VNU solemnly held the opening ceremony to welcome students of the 26th cohort. The ceremony was attended by Dr. Tran Thi Huong – Dean of the Faculty of Korean Language & Culture / Director of Sejong Center Hanoi 2, MSc. Nguyen Thuy Duong – Deputy Director of Sejong Center Hanoi 2, Korean and Vietnamese teachers and students of Sejong Center Hanoi 2. 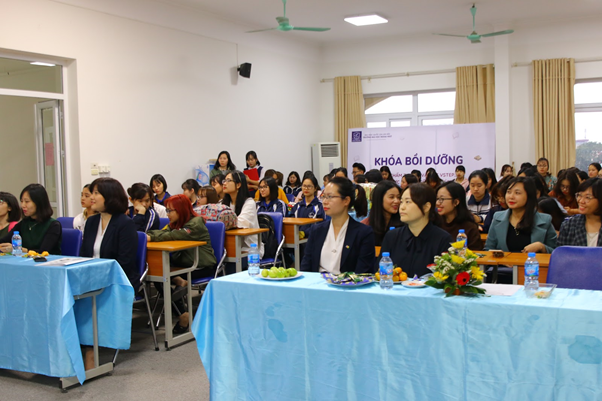 Delivering her remarks at the ceremony, Dr. Tran Thi Huong summed up the activities in 2018 and made a plan in 2019. In 2018, the Center was reported on the Asean as a typical center for teaching Korean. The Center also has many students who won prizes at Korean competitions. 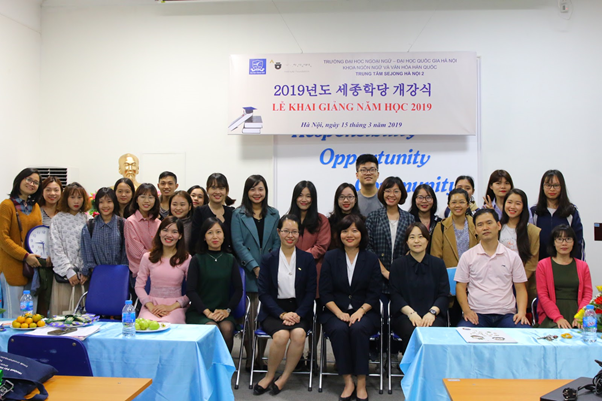 In 2019, Hanoi Sejong Center 2 will continue to hold 3 semesters with 660 students participating in 17 programs, including intermediate Korean, Korean conversation, Korean translation, Topik exam preparation, advanced speaking and writing skills, commercial Korean, etc. 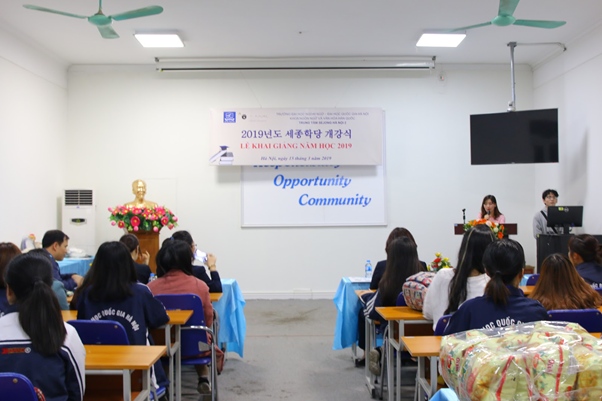 In addition, the Center also continues to organize contests and introduce Korean culture to students to experience.